Is it the right time to buy Arizona luxury real estate? 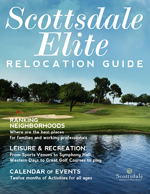 Economic indicators are pointing upward when it comes to real estate value in Arizona, especially with regard to Scottsdale luxury real estate. According to ARMLS, there are “many positive signs and indicators to buoy not only Subscriber Confidence but overall Consumer Confidence,” which continues to climb as unemployment rates fall in the Phoenix metropolitan area including Scottsdale. The strengthening economy is bringing new revenue from wages and capital gains, contributing to the stabilization of the Arizona real estate market. The expansion of both resale and new homes in all ranges continues, with inventory of Scottsdale luxury homes being particularly strong. The many caveats in the home buying process require the expertise of an Arizona exclusive buyer agent in Scottsdale who understands this market and how it can be leveraged in the best interests of the Scottsdale luxury buyer. 1,000 - $1,000,000 plus homes were sold in the Valley in 2013, the best numbers since 2007. The luxury market in the Valley was not as impacted by the recession as much as the rest of the real estate market. It tends to mirror the stock market. The Phoenix market is not as multi-national as other luxury markets in the country but does attract many western Canadians. There has not been and is not a shortage of luxury home listings in the Valley, so buyers generally have the negotiating advantage. More jumbo loans were available in 2013 than have been in the last 5 years or so, even though many to most of the luxury sales have been cash deals. The majority of the luxury home buyers in the Valley have been athletes, actors, Canadians, California residents as well as some Chicago residents. The luxury market in the Valley is considered to have almost completely returned to its prerecession condition. The Valley’s luxury market is spread out geographically but by far is most highly concentrated in the Northeast Valley. 2014 is expected to be a very good year for the Valley luxury home market. January through May are generally the most active months. The right Scottsdale luxury home buyer agent can maximize this opportunity and your investment in Scottsdale luxury real estate. An Arizona buyer’s agent’s exclusive focus on the Scottsdale luxury home buyer helps maximize the value of your Arizona luxury real estate purchase by leveraging the best possible price for your beautiful home, especially when it’s gated luxury home real estate nestled in the premier Scottsdale community.